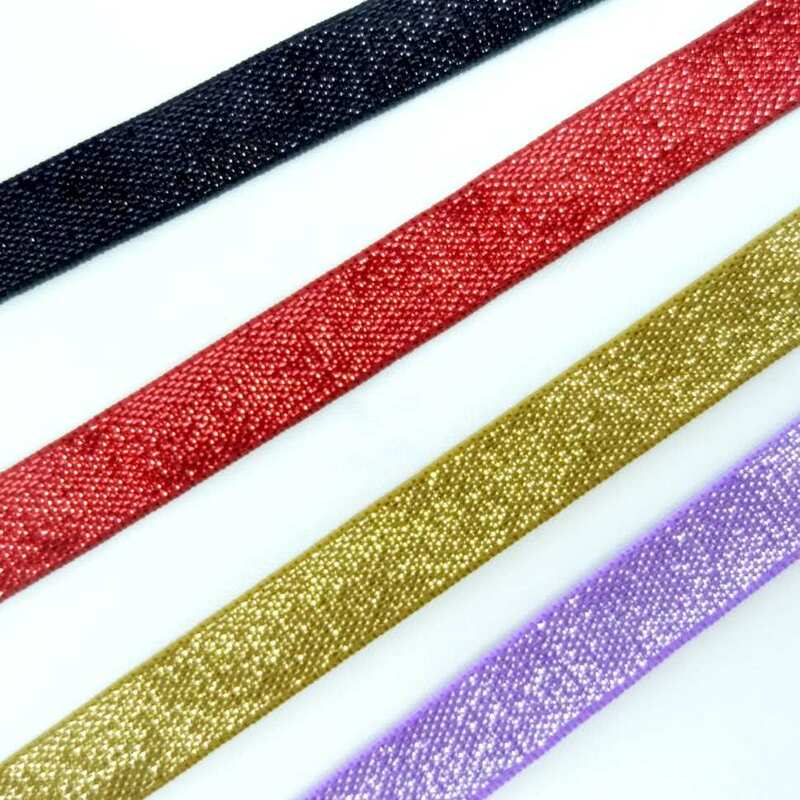 Elastic ribbon with golden lurex. It comes in 8 mm. width. Also available in 18 mm. and 40 mm. widths. This product can be used for packaging applications.